I don’t think that I was familiar with the idea of a university having a volunteering sector before I came to LSE. Volunteering is at the core of the LSE experience; we hear about it every single week and I think that this is great because it provides the opportunity of doing very fun things, meeting people outside ‘the bubble’ and helping out with a number of important causes. Some of the volunteering opportunities are really fun and different activities, such as labelling World War I diaries – it works as an Amazon Mechanical Turk in which volunteers read and place tags on what they interpret from the diaries. But what I want to tell you is how I managed to use volunteering opportunities as a way to stay close to something that I really love; food. Choosing LSE Rosebery Hall as my accommodation was an important decision for me, but it came with the negative side of me not having a very good kitchen. 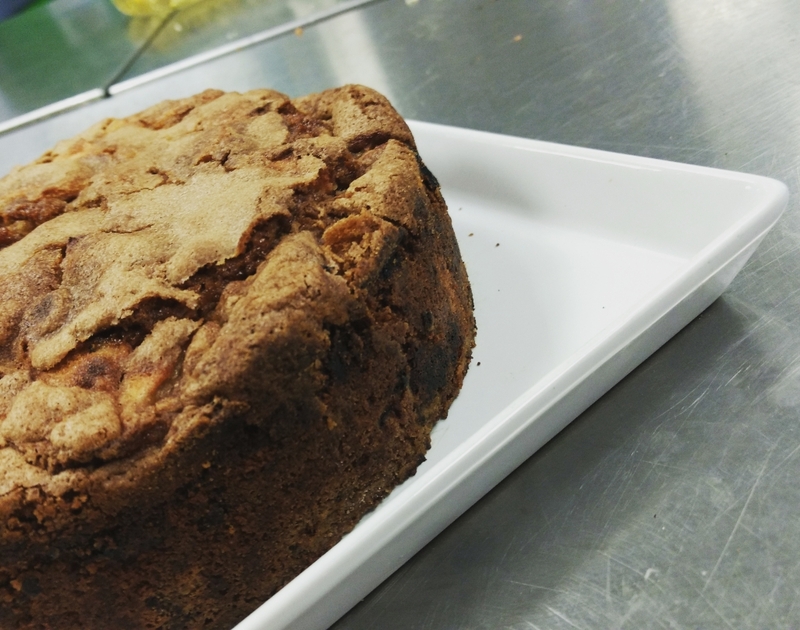 I have always liked to cook, and before coming to LSE I was on a period of high creativity with my baking, making cakes, cheesecakes and jam. I am not going to say that my year in England has been the most inspiring food-wise. Yes, I was exposed to new culinary traditions, I owe that to my flatmates Dyviakshi and Saanvi who made sure to offer me every Indian dish they cooked. I also learned about fried chicken and Chinese food. But London is not the city with the best food in the world. Vegetables are not of brilliant quality. There aren’t that many options in terms of fruit. But through volunteering, I was able to keep in touch with that foodie side of mine. First, there was LSE FoodCycle. This is both an LSE society and a hub at the FoodCycle organization. 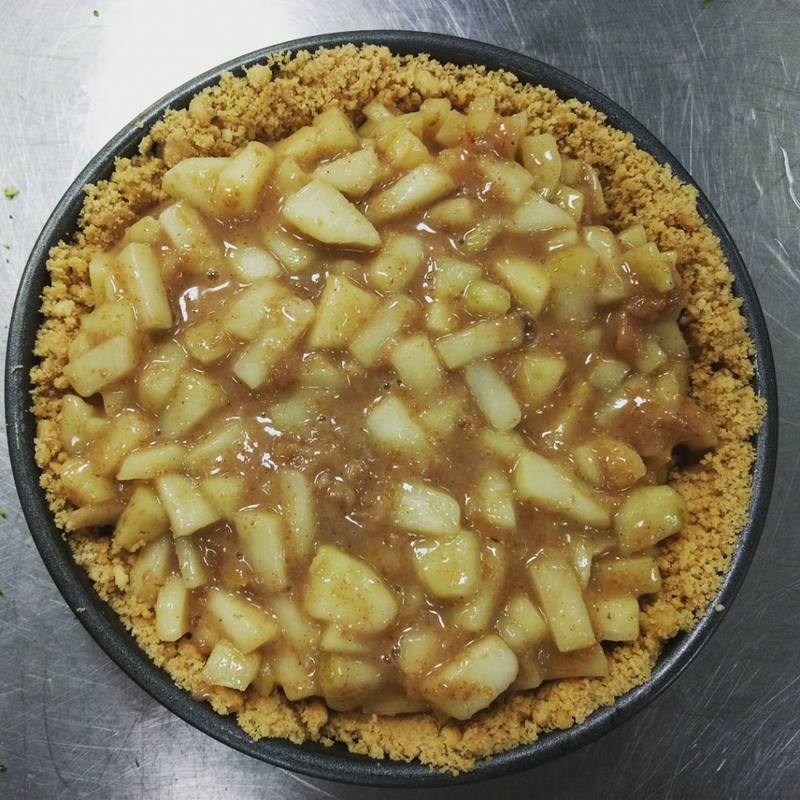 An apple pie I improvised with shortbread crust in the LSE Foodcycle hub around December. The hub works together with FoodChain and every Sunday volunteers collect surplus food from nearby supermarkets and cook a three-course meal to HIV patients that are part of FoodChain. It is super rewarding and exciting, first because you have to cook under pressure and do whatever you can with the scarce ingredients you have. Second, because you get to meet new amazing people. Third, because there is a lot of wasted food in London – as in every big city – and finding creative ways to avoid food waste is a huge thing. 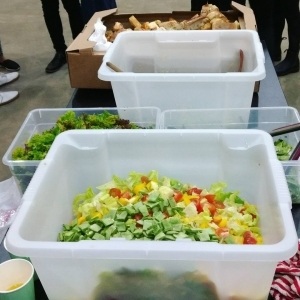 The FoodCycle society also organizes parties such as the Jazz Fest in which food was collected from coffee places and Borough Market and we made amazing salads using vegetables that would otherwise be thrown away. The salads we made for the Jazz Fest using vegetables from Borough Market that would otherwise go to landfill. The second really cool experience came last week. I always wanted to join these volunteering events where you go somewhere and help with farming or conservation. But they were more common during Michaelmas Term and I wasn’t able to join. But last week I signed up for a pruning and maintenance session with the Orchard Project. We travelled all the way to Wild Cat Wilderness and helped care for trees that were once part of community gardens. This story begins when the allotment system was created. Allotments are small pieces of land that were distributed so that people could have their own small little space to grow their vegetables. They were essential for Britain during the World Wars. But with time some of them were abandoned as the population’s interest in gardening waned. 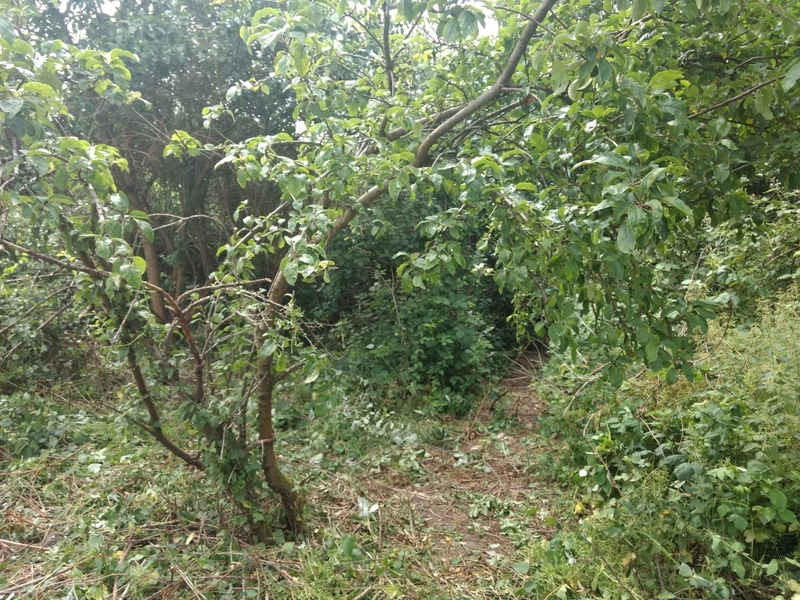 Wild Cat Wilderness was an area of allotments, but it has since been taken over by rubbish, unwanted trees and nettles. There are still ancient trees that could give healthy fruit, but they are hidden. Volunteers are trying to rescue them by rebuilding the infrastructure, helping to foster community interest in connecting with the orchards, hosting educational events and things like that. This is a rescued apple tree from wildcat wilderness. When I first started it was surrounded by weeds so my job was to weed around it and give it breathing space. Very rewarding. We often hear about Britain’s disconnect with their culinary roots. I don’t know how much of that comes from celebrity chefs, such as Jamie Oliver, who claims to be doing a work of uncovering a long-lost tradition. But the truth is that I found a space in my life for volunteering that helped me explore sides of my experience that were missing, and about which I feel quite passionate. LSE Halls: Why Northumberland House? Bad Behavior has blocked 179 access attempts in the last 7 days.